At NCVC we believe that no matter what stage of life you are in, an annual eye exam with an optometrist is necessary to protect your vision. Our patients receive one on one attention from our trusted optometrist in a comfortable environment where you can feel free to discuss any questions or concerns you may have about your eyes during your exam. 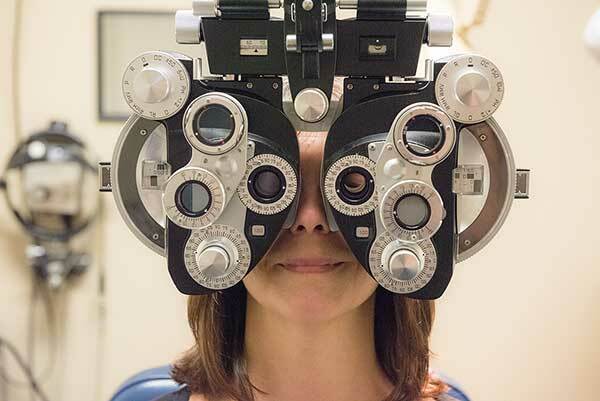 The eye exam includes the following, dilation, glaucoma check, focus capabilities and vision conditions such as nearsightedness, farsightedness, and astigmatism. An annual exam for adults is very important. Several factors affect our vision throughout the day, such as poor lighting, uv light rays, and exposure to computers. An annual exam can help protect your vision with early detection of eye diseases such as glaucoma, cataracts, and macular degeneration. Eye exams can also help identify serious medical conditions such as diabetes and high blood pressure. Scheduling a professional eye exam every year starting at the age of three can ensure the best vision possible for your child.